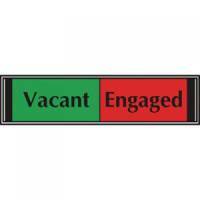 Sliding Sign Vacant/Engaged Self Adhesive V6DB/VE Pack of 1 Black/Silver Sliding Sign. Aluminium and PVC door sign with slider to give a dual message - used for informing people whether they may enter a room or not. With self adhesive strip for easy fixing. Size: 225 x 52mm. Free/Engaged. 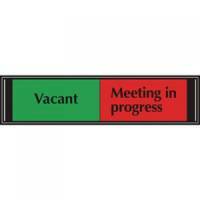 Sliding Sign Vacant/Meeting In Progress Self Adhesive 225x52mm Pack of 1 Black/Silver Sliding Sign. Aluminium and PVC door sign with slider to give a dual message - used for informing people whether they may enter a room or not. With self adhesive strip for easy fixing. Vacant/Meeting in Progress. Sliding Sign Do Not Disturb 225x52mm V6DB/DD Pack of 1 Black/Silver Sliding Sign. 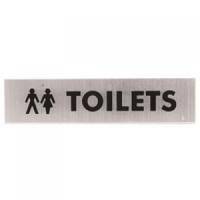 Aluminium and PVC door sign with slider to give a dual message - used for informing people whether they may enter a room or not. With self adhesive strip for easy fixing. Size: 225 x 52mm. Do Not Disturb. 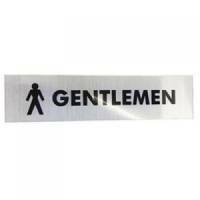 Acrylic Sign Gentlemen Aluminium SR22355 Pack of 1 Acrylic Sign. Manufactured from 2mm acrylic, reverse printed with a brushed aluminium effect backing. Size: 190 x 45mm. Gentlemen. 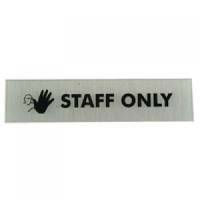 Acrylic Sign Staff Only Aluminium 190x45mm SR22365 Pack of 1 Acrylic Sign. Manufactured from 2mm acrylic, reverse printed with a brushed aluminium effect backing. Size: 190 x 45mm. Staff Only. 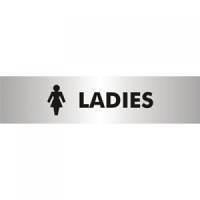 Acrylic Sign Toilet Aluminium 190x45mm SR22366 Pack of 1 Acrylic Sign. Manufactured from 2mm acrylic, reverse printed with a brushed aluminium effect backing. Size: 190 x 45mm. Toilets. 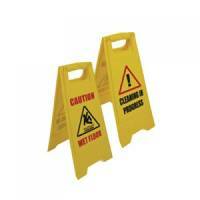 Stewart Superior Wet Floor Sign Yellow Pack of 1 PVC Yellow warning sign.